Second of NASA's epic long-distance probes sails beyond the Sun's influence. NASA’s Voyager 2 spacecraft has crossed into interstellar space, joining its twin — Voyager 1 — which made the epochal passage in 2012. 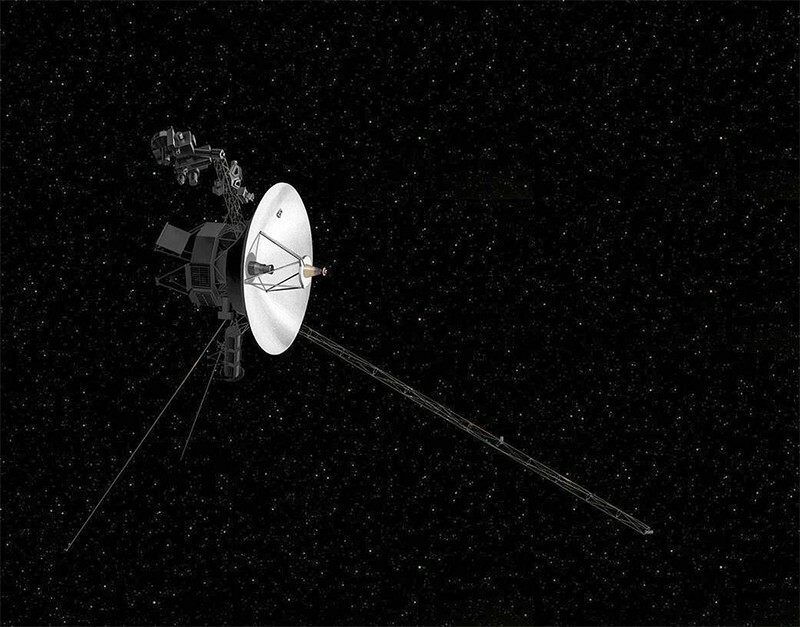 Both Voyagers now sail beyond the reach of the Sun’s influence, the heliosphere, as humanity's most distant emissaries. Voyager 1 is 21.6 billion kilometres from the Sun; Voyager 2 is 18 billion kilometres from the Sun. Voyager 2 crossed the boundary on 5 November, said Ed Stone, Voyager's project scientist at the California Institute of Technology in Pasadena, California. He made the announcement on 10 December at a meeting of the American Geophysical Union in Washington DC. Stone said that the signal is much cleaner than it was for Voyager 1, which spent months tantalizing scientists with fluctuating signals. Data from Voyager 2 show an uptick in cosmic rays originating from beyond the Solar System, and a near-zero number of charged particles coming from the Sun. “It was obvious to me that something odd happened” on 5 November, said Robert Decker at the Johns Hopkins University Applied Physics Laboratory in Laurel, Maryland. Voyager 2 also still has a solar-wind instrument working that was not functional on Voyager 1 when it crossed the boundary of the heliosphere. The wind instrument also showed a dramatic drop in the number of solar particles detected. “On November 5, they’re gone,” said Stone. Voyager 2 travelled through a slightly thicker section of the heliosphere boundary than Voyager 1 did, Decker said. By comparing how the two Voyager probes' paths evolve, Stone said, researchers can get better information on the interstellar medium that forms the space between the stars — such as how magnetic fields are oriented. “There’s more to come,” he said. Both Voyagers launched in 1977. Voyager 2 departed first, but Voyager 1 was on a faster trajectory and quickly passed its twin. Both visited Jupiter and Saturn, conducting the first up-close exploration of those gas-giant planets. NASA then altered the path of Voyager 2 to visit Uranus and Neptune, marking the first exploration of those worlds.